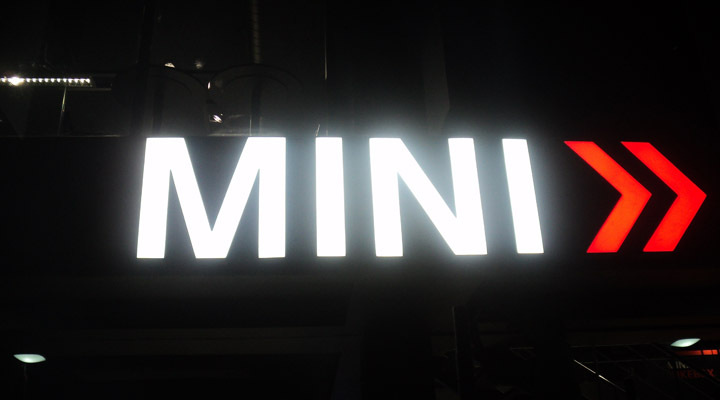 The signage were to be produced for the launch of a MINI store in India. To address this, we made sure that the logo was bolder than usual and brighter than usual. We achieved the same by making deep letters in matt black acrylic with plexiglass front (specially requisitioned from Dubai to address the whiteness factor). The number of LED modules was about one and a half times than we would use otherwise. 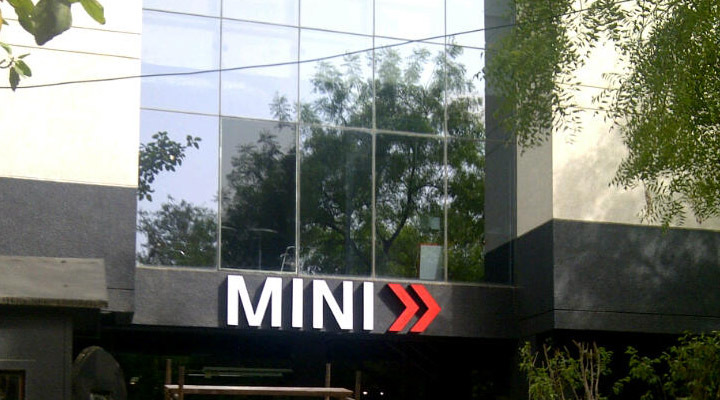 Please visit the MINI store at Vasant Kunj, Delhi to get a see-it-to-believe-it effect!